The ProMedia v.2-400 is a legend in its own time. As the most powerful computer audio system in the world and the first ever to be THX®-Certified the ProMedia v.2-400 changed the way people think about multimedia speakers. 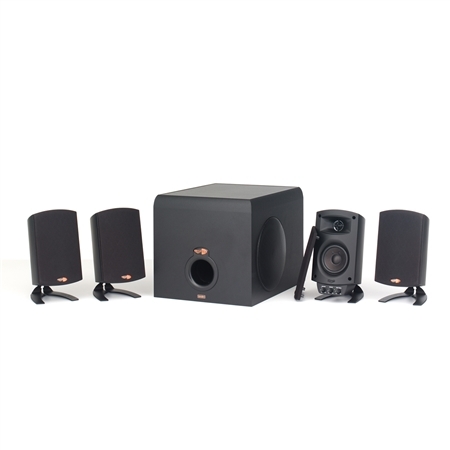 Drawing on its decades of experience in home theater auditorium and cinema sound Klipsch developed this five piece desktop surround sound system that reproduces CDs DVDs MP3s and gaming soundtracks with intense power and detail.